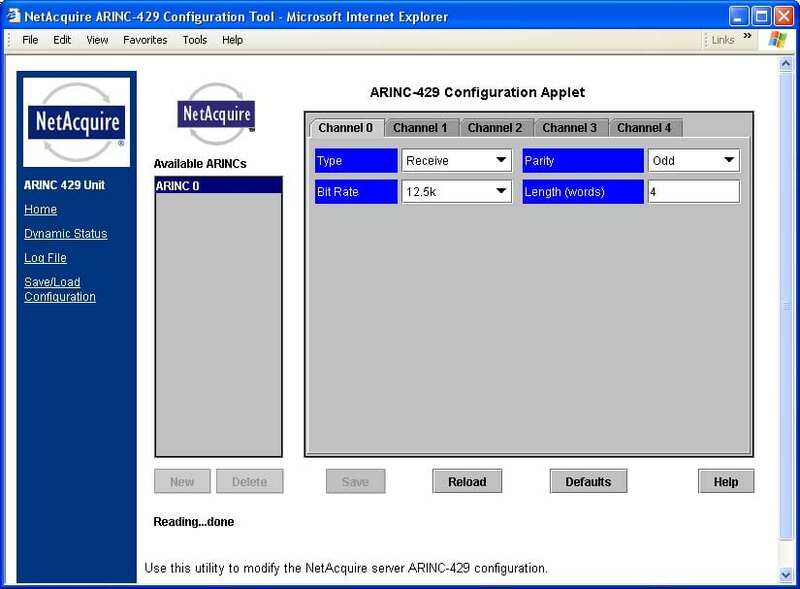 NetAcquire systems offer a real-time solution that support bi-directional conversion of ARINC-429 data bus and an Ethernet network. The NetAcquire system can perform as a transmitter or receiver, or both. The full processing and decommutation capabilities of the NetAcquire product are available for analyzing and generating 1553 traffic, as well as data archiving and playback. Expansion to up to 256 simultaneous ARINC-429 channel is available.